There's an interesting battle going on in Monrovia over right of way and public vs private land: City officials want to create entry points to the Hillside Wilderness Preserve, a 1,400 acre area off the Angeles National Forest, a move that would allow walkers to essentially infringe on homeowners' private property, reports the Pasadena Star News. 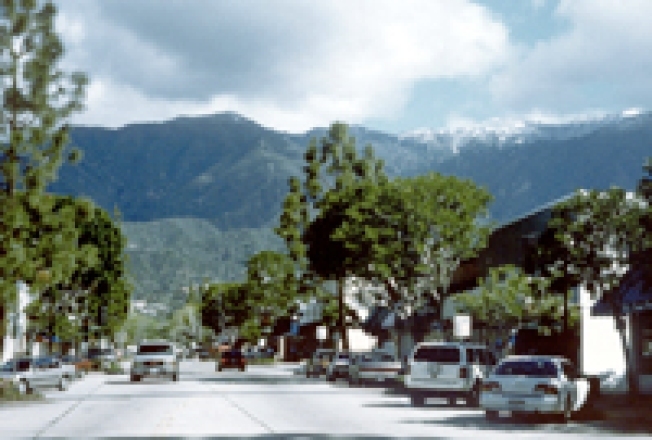 As a result, the Hillside Wilderness Preservation Campaign Group, comprised of a local homeowners, have brought suit against the city, stating the environmental impact of the plan wasn't fully looked at. There are concerns not only about the safety of these new trails, as well as right of way. Here's David Seuss, one of the homeowners, speaking to the paper: "The trail that they want to establish goes right through our property. We're dumbfounded. We do not understand why they want to go through other people's property." Meanwhile, here's what Monrovia's City Manager Scott Ochoa wrote in his weekly address concerning the situation: "At the end of the day, it would seem folks want what they want, change is scary, and nobody even wants reasonable public access in their back yard. The public paid for a Wilderness Preserve that they could have reasonable access to; not to create an immense private yard for a handful of residents." It sounds like talks between the two groups will continue, although Ochoa is apparently unhappy that the homeowners' group has decided to "litigate rather than cooperate."